A Gift of Free Purchase Order Software for you. The users cried “It’s not fair”. What was left of his hair. We’re at the end of our wits. For more cash to come in. Oh, the hope and the glee! With no paper and such ease. This little gift from SpendMap. 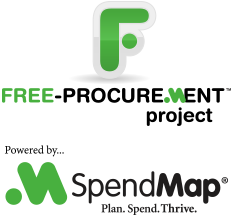 Happy Holidays from your friends at SpendMap and the Free-Procurement Project.